Abalone is one of those mysterious Asian food items that I often crave because it’s expensive and associated with happy family wedding/red egg/Chinese New Year banquets. I also love the crunchy bouncy gelatin texture. Until recently, I had no idea what it really is or how it’s obtained. I thought it’s a sort of clam. Well….sorta. It’s a “marine gastropod mollusc” or marine snail. 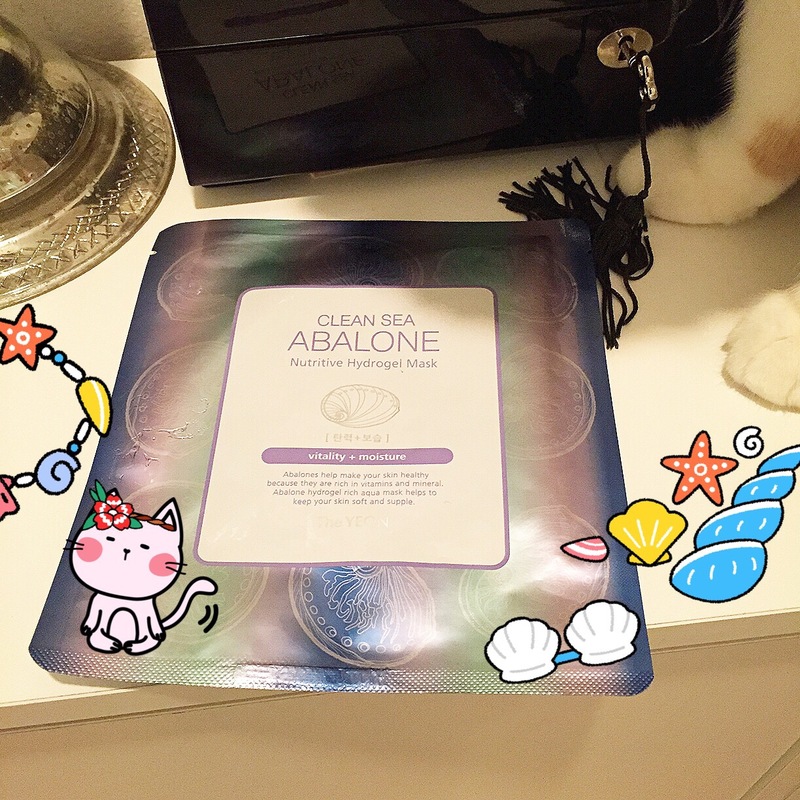 Of COURSE I had to grab the clean sea Abalone Nutritive Hydrogel Mask from The Yeon when I saw it. I LOVE me some invertebrates, be they marine or garden variety. 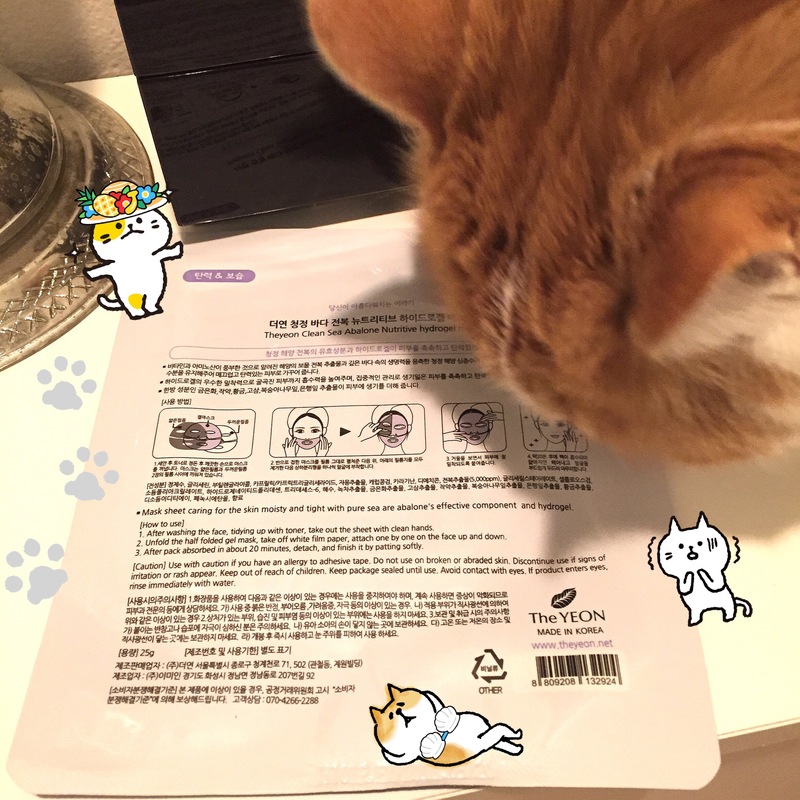 The ingredients are typical, similar to the countless masks I’ve reviewed. 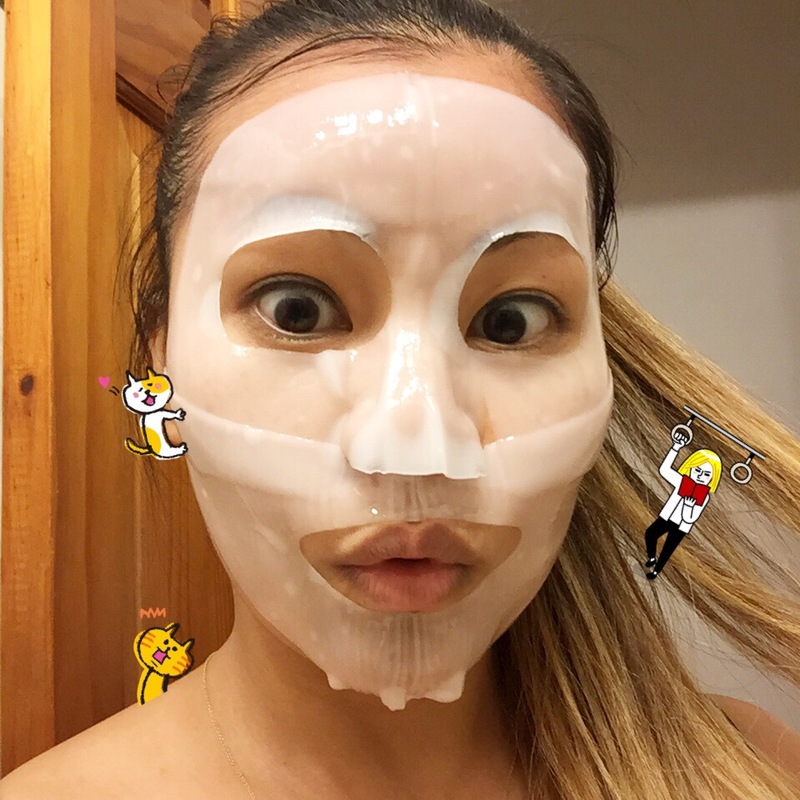 Advertising for the mask says: Mask sheet caring for the skin moisty and tight with pure sea are abalone’s effective component and hydrogel. It’s very vague with explanations of how exactly abalone will help your skin beside the fact that abalone contains taurine and protein and “vitamins.” If we follow that logic, I can just crush some Centrum tablets and mix with water to use as a mask yes? I rather like the texture of the mask sheet. It is a two-parter like most hydrogels. One side is slightly more ribbed (heh, heh) than the other, though I don’t think there’s a huge difference which side you slap on. It’s a medium weight which is good for fit. Too thick and it slides off your face or is too stiff to adhere. Too thin and it’s too flimsy and doesn’t stay put. The nose part of the mask is quite long. Who actually has a nose THAT long, unless they’ve had a nose job? Oh, right. The bottom sheet of the mask overlaps nicely with the top, for adequate coverage. Overall the fit of this mask is among my favorites. There’s plenty of serum but the serum is thick enough so that it doesn’t drip all over the place. After 30 minutes, I felt that my skin is super hydrated and soft. However there’s no brightening effect and the effects dissipated by the following morning. At $10 a pop, I expect MOAR. Yes! I would like to know more about the other under-hyped creatures like sea cucumber and jellyfish as well. Mother of God, $10 apiece? Hell no. I did get to try one that a fellow AB person gifted me and I liked it quite a bit, but not THAT MUCH. Tangential: there is no place to get abalone nigiri in northern San Diego County at 3am and I find this very distressing. Right? $10 is like a whole BOX of MBD. But…abalone! As for the tangential: there IS a way to get abalone nigiri any time of day here. ::smug face:: heh heh heh. I can also bring you one next time I’m in DC! Yes the nose part just flaps around on my pug nose, haha. Wow. I got mine in a swap. For $10 I would have been harsher in my judgement. 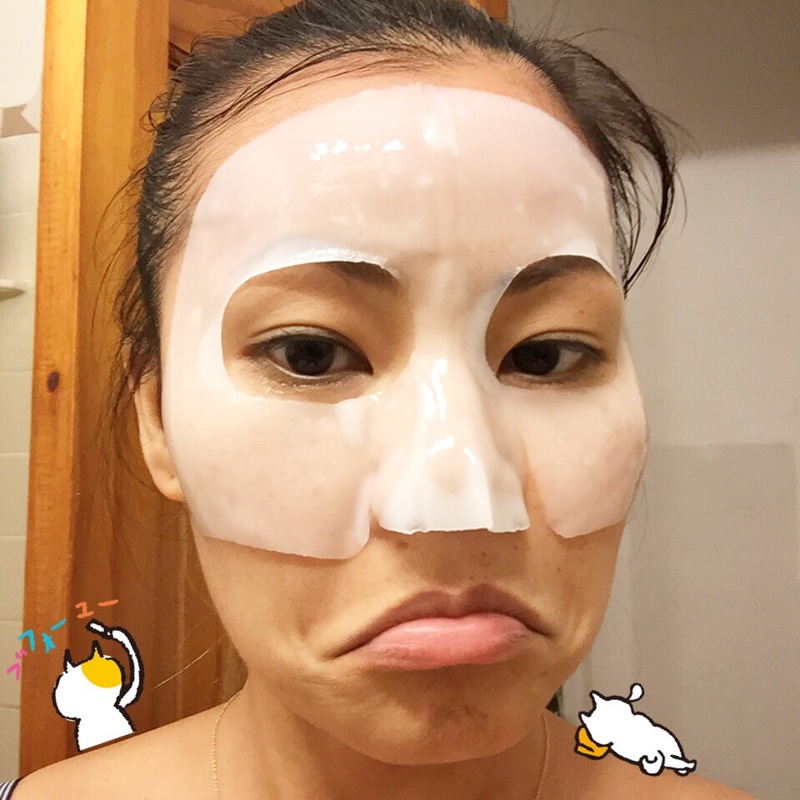 For $10 I want people in the streets complimenting my skin the next day… Even if the company that sold me the mask is paying them to do it.